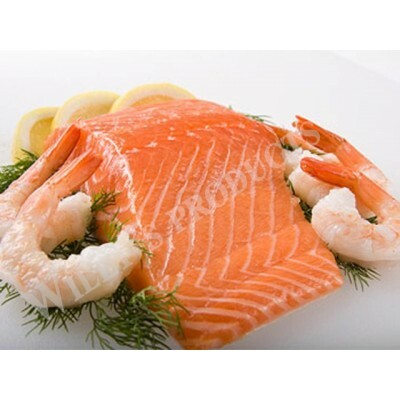 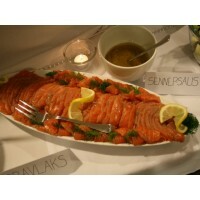 North Atlantic Cod Fillets 16/32oz 10Lb Case..
Cod Loins Case 10 Lbs..
Gravlaks (Norwegian), Gravlax or Gravad Lax (Swedish), Gravad Laks (Danish), Graavilohi (Finnish), Graavilõhe (Estonian), Graflax (Icelandic) is a Nordic dish consisting of raw salmon, cured in salt..
Fresh (Never Frozen)Smoked SalmonPresliced 8oz - 225g Pack.. 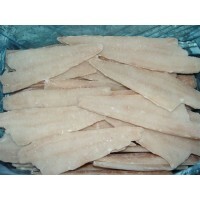 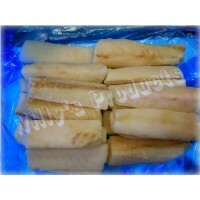 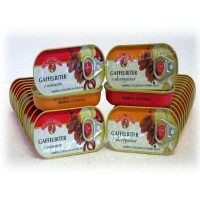 Herring Tidbits in Wine Sauce 50g.. 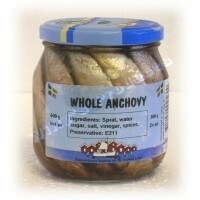 Whole Anchovies Glass Jars 300g..